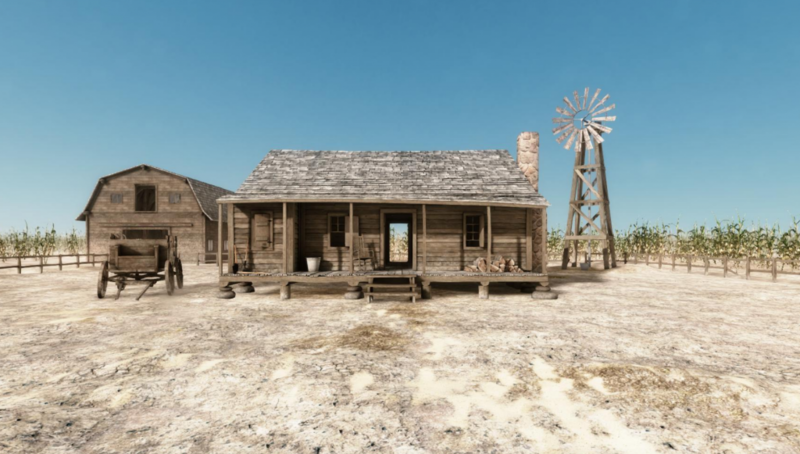 Ortelia Interactive Spaces in partnership with the Australian Discovery Orchestra (ADO) have created a immersive 3D space for ADO audiences to explore the music and background stories behind Aaron Copland‘s orchestral suite, The Tender Land. Designed in tandem with Quill & Quaver Associates LLC in the USA who specialise in developing trans-media storytelling projects for the performing arts market. This is the first of a planned series of projects Ortelia will create for the orchestra over the next several years. The environments will subsequently be available for licensing to other orchestras around the world. Ortelia is proud to be associated with the development and delivery of this innovative project and we hope it will contribute to a wider audience engagement with classical music as a whole. The ADO is a new orchestra venture in Australia created to bring together high-calibre musicians to perform streaming-only concerts; as well as re-imagining audience engagement concepts to attract new audiences to classical music. The Tender Land environment is delivered as a WebGL application designed to run directly from within a web browser.